Magnolias are no strangers to being featured on Botany Photo of the Day, but usually I wait until they are in bloom locally to feature them. For local readers, it is perhaps hard to believe that this photograph was made on February 20 two years ago. I expect these will begin blooming sometime in late March or April after the weather of this winter. 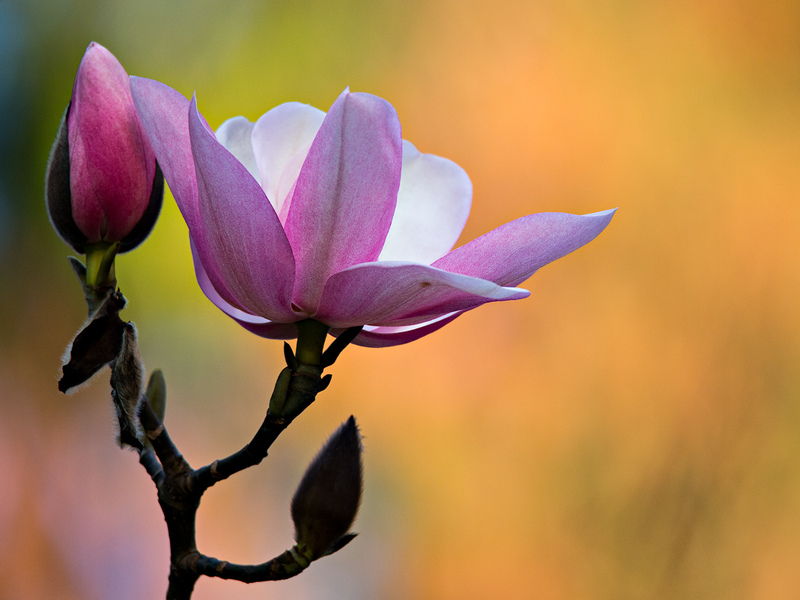 Magnolia campbellii, or Campbell’s magnolia, is native to southeast Asia. It is particularly associated with the Himalayas. In a 2016 revision of The Red List of Magnoliaceae, Magnolia campbellii was listed as a species of Least Concern. That it is not of conservation concern is itself rare within the group; the report concludes that only one in five species of Magnolia is not threatened(!). Daniel, any chance you can advise why the photos are not appearing for me? I sure did miss BPOTD and now that it’s back, the photos don’t download!! It just goes round and round and round, trying to load. Thank you. Server issue, discussed in previous entries and comments. This afternoon’s attempted fix didn’t work apparently. A page refresh is a temporary fix. I think the photos may be too large for those of us with a slower internet connection… I either see nothing, or it just begins to appear and doesn’t continue downloading. The photos used to appear quickly. I concur. Perhaps it would be useful to have a lower resolution (“smaller”) photo on this page with the full resolution photo available when a person clicks on this “smaller” photo. I know that when I do a page refresh, the photo sometimes appears, or appears partially, and most often it does not appear at all. Photo posted is not large – 1200 x 1600 dpi Do you have issues with other photos opening? It has nothing to do with your browsers or internet connections, and everything to do with a server configuration issue I haven’t figured out yet. Beautiful photo! Glad to have you back Daniel. Great Photo. Excellent contrasting background. Well seen and created. One of your best. Lovely photo. There are a lot of Magnolia trees here in the Seattle area. I have a large one in my backyard here in Shoreline. The tree has many pink blossoms, just like this one, covering it when it is in full bloom. The ground becomes a sea of pink after the petals fall. I don’t know if mine is the same species or not, but it sure looks the same as this blossom! The picture shows just a small part of my tree. Beautiful photo, the Magnolias are starting in So. Cal, well timed. So good to have you back…you make my day every day. Lovely photo – THANK You. First time I had no trouble downloading, thanks again ! Lovely Magnolias have been marginally hardy in our Montreal zone. Climate change is favouring them now… but also leaving them prone to insect & fungal damage ? Daniel, Thanks from UGA (Athens, GA) for returning with this great site. I enjoy sharing the photos and info with my students and plant geek friends. Fascinating and fun site. Don’t ever go away again please! I am so happy to have these beautiful photos back in my day! Lovely to see Botany Photo of the Day again!